Ambassador all models 1982 - 84. Granada 4 WD all models 1986 - 95. Sierra and Sapphire 4 WD- all models 1982 - 93. AUSTIN MORRIS ROVER. Acclaim 1.3 1981 - ch number 180455. 213 1984 - 89. Princess all models 1975 - 82. OUTER C.V GAITER. 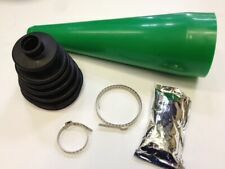 THIS IS A COMPLETE KIT FOR ONE SIDE,OUTER C.V JOINT, FOR THE CLASSIC MINI (FITTED WITH DISC BRAKES). KIT FOR CLASSIC MINI. (DISC BRAKES). Rover 400 Tourer 1.6 1.8 416 418. MG Rover ZR MGZR 120 160 1.4 1.8 From 1999 to 2005. MG Rover TF MGTF 115 120 135 160. MG Rover F MGF 1.6i 1.8i 1.8VVC 1.8 Trophy SE. MG Rover 25 1.1 1.4 1.6 1.8 From 1999 to 2005. BK55 SHAFTEC BOOT KIT OE. OUTER CV JOINT NUT AUSTIN MINI. FITS AUSTIN MINI. MANUFACTURED BY AUSTIN / ROVER. MAESTRO, MONTEGO & CV JOINTS . ONLY 1 AVAILABLE. i.e. 2 PER VEHICLE. FITS O/S (R.H.) or N/S (L.H.). 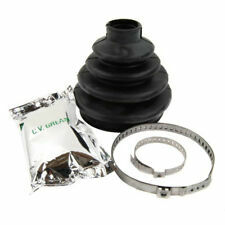 CV Joint Boot Kit BCB2597 Borg & Beck. Part Number BCB2597. ROVER BAU4608. Function Bellow, driveshaft. FORD SIERRA (GBG, GB4) 2.0 4x4 Saloon Petrol 01/1990 02/1993 AWD 8 120 88. CITROËN C15 (VD-_) 1.8 D Box Diesel 07/1986 12/2000 FWD 8 60 44. CV Joint CV16N Shaftec. Part Number CV16N. Function Joint, drive shaft. Internal Teeth, wheel side 22. External Teeth, Wheel Side 25. Overall Height 138 mm. Fitting Position: Wheel Side; Fitting Position: Front Axle. CV Joint PJ1N Shaftec. ROVER ADU4378EVA, RV705. Part Number PJ1N. AUSTIN ADU4378EVA. Function Joint, drive shaft. External Teeth, Diff.Side 21. Overall Height 99 mm. Fitting Position: Transmission End; Fitting Position: Front Axle. The purpose of a CV Boot Kit is to connect your vehicles transmission to the wheels. We apologise in advance for any inconvenience caused. CV Joint CV1N Shaftec. AUSTIN 17H8600, CGV1053, GCV1105. Part Number CV1N. Function Joint, drive shaft. External Teeth, Wheel Side 19. Internal Teeth, wheel side 19. AUSTIN MINI 1000 Hatchback Petrol 10/1967 09/1984 FWD 8 35 26. OUTER C.V GAITER. THIS IS A COMPLETE KIT FOR ONE SIDE,OUTER C.V JOINT, FOR THE EARLY CLASSIC MINI. (THE EARLY DRUM BRAKE MINIS HAD SMALLER DRIVE SHAFTS). (DRUM BRAKES). KIT FOR EARLY CLASSIC MINI. CV Joint CV2N Shaftec. AUSTIN 27H7567 BAU2018 BAU4444. ROVER 27H7567 BAU2018 BAU4444. Part Number CV2N. Function Joint, drive shaft. External Teeth, Wheel Side 29. Internal Teeth, wheel side 19. Fitting Position: Wheel Side; Fitting Position: Front Axle. Classic Mini CV Joint and Drive Shaft Retaining Circlip. Eg, Vetech, Erst Klassig, Franzen, NK, etc. With this in mind, we will indicate what type of product you are looking at within the following guidelines. Branches Nationwide. We will always attempt to rectify the issue as fast as possible! SHAFTEC : CV17N. Part Number : CV17N. External Teeth Wheel Side: 25. Internal Teeth wheel side: 32. Wood & Pickett Mini Centre Ltd.
CV Joint CV7N Shaftec. 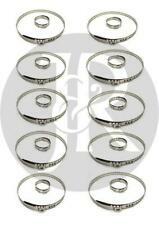 Part Number CV7N. Function Joint, drive shaft. External Teeth, Wheel Side 29. Internal Teeth, wheel side 23. Height 146.5 mm. Fitting Position: Wheel Side; Fitting Position: Front Axle. Fitting Position: Transmission End; Fitting Position: Front Axle. Fitting Position: Transmission End; Fitting Position: Front Axle; Transmission Type: Manual Transmission. Fitting Position: Transmission End; Fitting Position: Front Axle; Transmission Type: Manual Transmission, 5-speed.